Yesterday we got great news that UFC booked a heavyweight title fight between champion Daniel Cormier and Derrick Lewis at UFC 230. Now terrible news broke that Dustin Poirier who was expected to square off against Nate Diaz in the co-main event of UFC 230 is forced to pull out due to an undisclosed injury. Breaking: Dustin Poirier has suffered an undisclosed injury, per multiple sources. He is off UFC 230 co-main event against Nate Diaz in New York. ‘The Diamond’ and Diaz were repeatedly requesting the promotion to make their UFC 230 co-main event to be promoted to the main headliner with a championship bout in the 165-pound weight class, but UFC head honcho Dana White slammed the door on that possibility. 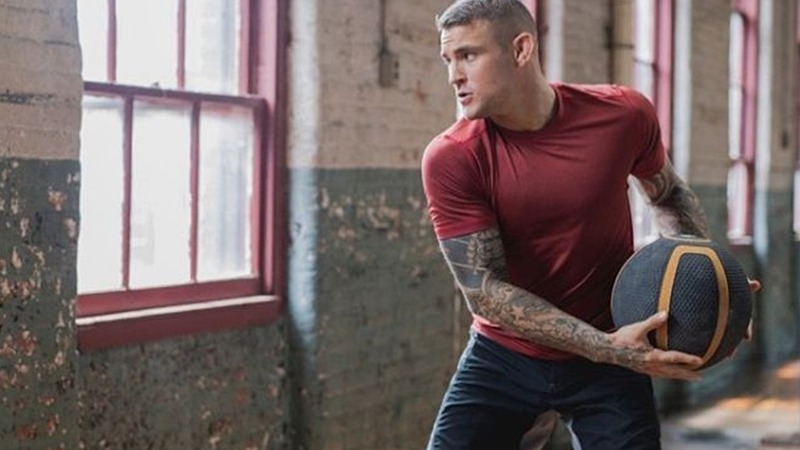 Poirier is riding on an impressive three-fight win streak since November 2017, where he beat Anthony Pettis, Justin Gaethje, and Eddie Alvarez. Diaz last competed inside the Octagon at UFC 202 in August 2016, when he lost the fight via majority decision to Conor Mcgregor but banked the biggest paycheck of his entire career with a disclosed amount of $2 million. Nothing is official as of this writing that former lightweight title challenger Nate Diaz will remain on the card or not. UFC has three weeks left to find a suitable option for Diaz. According to a recent Tweet from LA times Lance Pugmire, Dana White tells him that Nate Diaz is off the card. It looks like Nate Diaz is not fighting at November card, but there is one fight that could intrigue him more than anyone is Conor McGregor who’s fresh off a submission loss to Kahbib Nurmagomedov. But the question here’s will Mcgregor make a move to fight him. As after the loss Mcgregor calls for a rematch with Nurmagomedov. Any suggestions here who should step in to fight Diaz?